I recently went on a work trip with my husband to Chicago and we ate our way through the city. 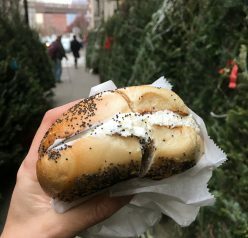 Here are my reviews for Where to Eat and What to do in Chicago: some must-try restaurants and spots to visit while there! If you are just clueless as to where to eat and what to do in Chicago while you’re a tourist there then you will benefit from this post. I find that whenever my husband and I travel that it takes a lot of preparation and research to sort out the truly good restaurants from the tourist traps. 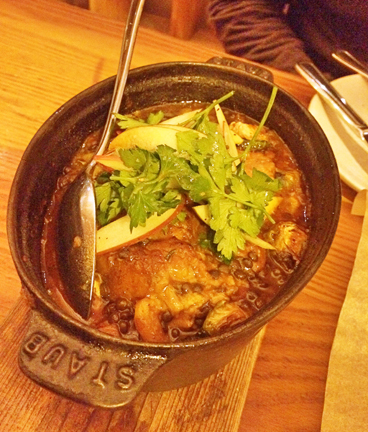 You may have seen my post on Where to Eat in Boston. We take our food very seriously and it’s the focus of all of our trips (spoken like true gluttons) 🙂 We found a lot of Chicago gems that lived up the great reviews we read on Yelp, which is how we decipher how good the food at restaurants will most likely be. I love Yelp for not only the reviews on the food, but it helps you anticipate how expensive the food and drinks are and also if you need to be dressed up or not. This is all good information to know! I always scope out the menus ahead of time, also. We are not much into the “weird” food – I like to be able to pronounce and understand what I’m ordering when eating out at a restaurant. First of all, I was pleasantly surprised to find Chicago to be a very walkable city. It actually is the 6th most walkable large city in the United States. Chicago also has good public transportation. We stayed at the Hyatt Regency (which was awesome by the way) and found it very easy to get to most places we wanted to go to just by simple walking there. Although very cold in February, it was definitely feasible to do so. 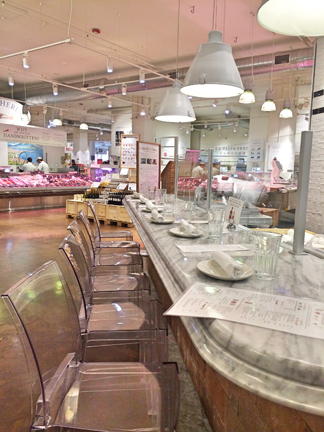 Here it is – Where to Eat and What to do in Chicago. 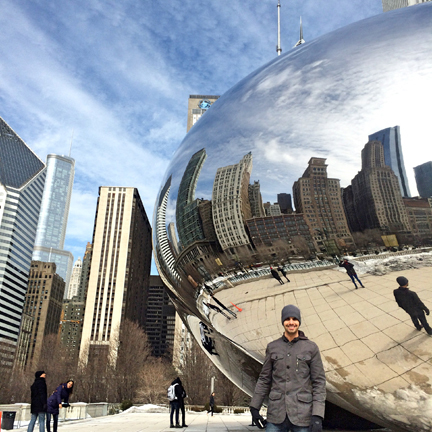 One of the cool spots that was right around the corner from our hotel was Cloud Gate, a.k.a “The Bean”. 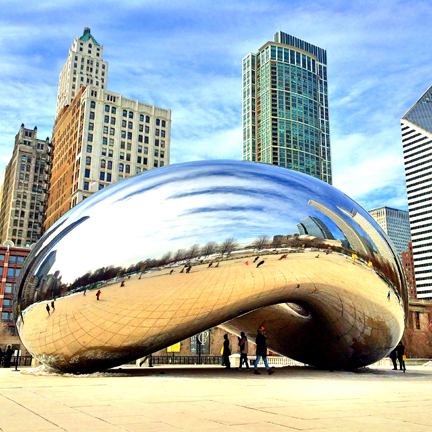 It is located in Millennium Park and is an impressive bean-like silver structure that is a great place to take some cool, unique photos. It was created using a huge number of individual stainless steel plates and it’s seamless surface is the result of thousands of hours of polishing. Pretty awesome! 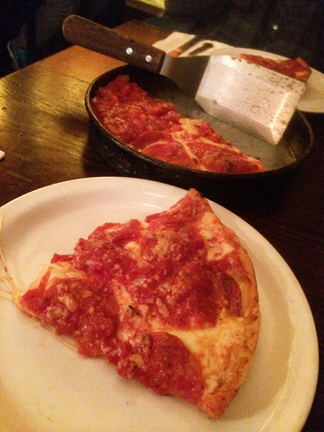 Since this post is about Chicago I figured it’s only fitting to review their deep dish pizza first. 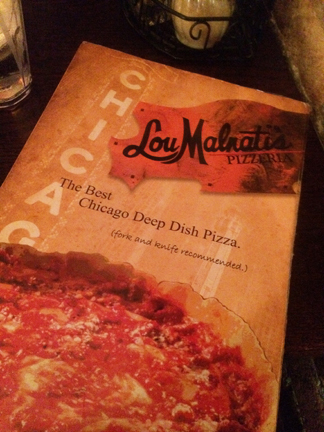 We ate at Chicago’s most famous pizza spot: Lou Malnati’s. From the first slice, which is cut and served to you by your server, you will be taken to a happy place. The extra cheese, toppings and that “famous” flakey butter crust makes all the difference in the taste here. It was SO good and very filling as the crust is super thick and is more like a pie! Plan on feeling a little bit like your stomach is going to explode when you leave this place. Totally worth it. It isn’t a complete trip visiting a new city without trying out a new Italian restaurant. 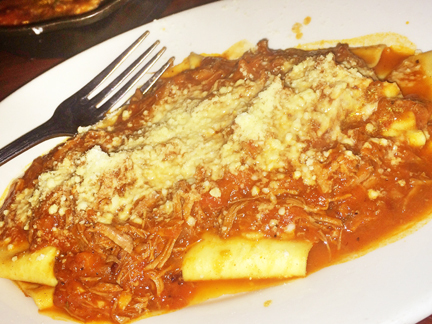 Per the recommendation of some of my food blog friends, we went to RPM Italian restaurant. This place was the highlight of the food I ate on this trip! 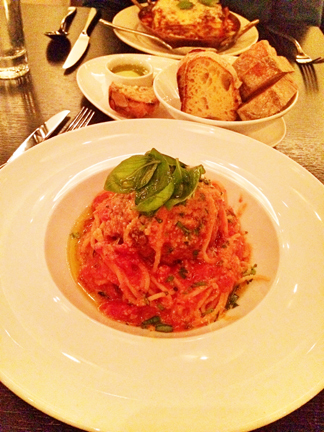 We tried the meatballs, lasagna and the truffle oil garlic bread which were all fantastic. The inside is really nice, modern, darker lighting, and very comfortable. The menu isn’t the biggest in the world, but it has great options and you are sure to find something you like. We were treated very well by our server and he was very knowledgeable. The portions here are not “normal” huge American portions but they are still very generous. We were stuffed by the end. I highly recommend this restaurant! 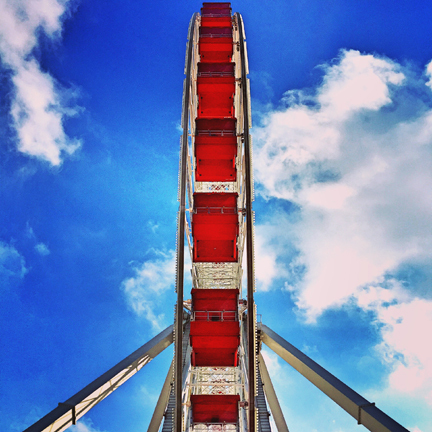 Something you must do while in Chicago – visit the Navy Pier! We went on a pretty frigid day, but it was sunny which made it pretty enjoyable. 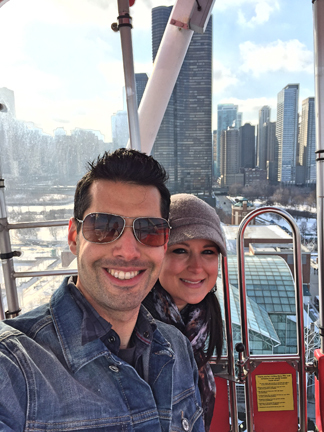 There wasn’t a whole lot going on here in the winter, but we did decide to ride the Ferris wheel….because, why not? We had a great view over the pier and the amazing skyline from the Lake Michigan perspective to the actual city view of Chicago. This made for a great memory and the cost is 7$ a person. The wheel goes around once (very slowly) so you can really enjoy the view. Side note: the wheel never stops so you need to have the physical ability to step in and out of the ferris wheel box while it’s still moving. I’m not gonna lie – I was a little afraid of falling flat on my face (honestly though, this would have been hard to do, I’m just paranoid). There are a ton of shops, the Crystal Garden, art, some live music, a children’s museum, and a variety of food places at Navy Pier. They also have an IMAX theater here. I cant even name everything that this place has to offer off the top of my head but there’s so much to do here and it’s worth the visit. They even do fireworks on the weekends! 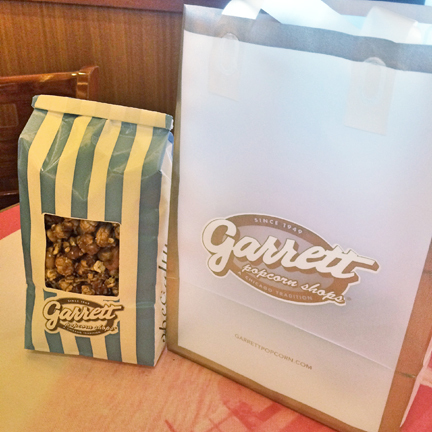 While there, we tried out some yummy popcorn at a place called Garrett Popcorn as a friend had told me to hit that up. You can smell the sweet, caramel before entering the store. If you like sweet with some nuts like I do then opt for either the almond, pecan or cashew caramel crisp popcorn (or get the mixed). They have a variety of sizes to choose from and tin cans to fill popcorn up in if you’re taking some home. This location can get busy but the line does move fairly quickly. I don’t think I’ve ever spent so much money on popcorn before! 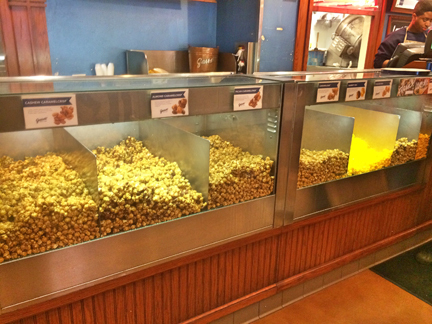 While this place may be overrated, their popcorn is very fresh, tasty, and addicting. It’s worth trying once. 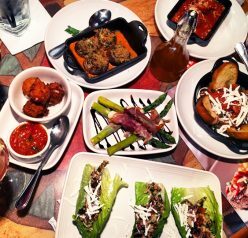 While planning out our dinners, we knew we needed a lot of Italian in the mix. 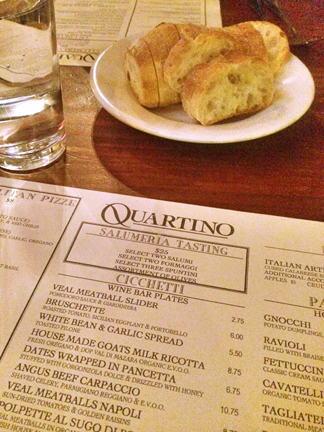 Therefore, Quartino was another restaurant we tried. Everything we ordered was delicious and on point. Not the biggest portions or best Italian I have ever had by any means, but pretty solid, and the prices are reasonable. You can always stuff yourself full with free bread if you’re still hungry (the college student way, ha ha). The meatballs are what stood out to me here the most. I think if I went again I would order just a huge bowl of meatballs! The one thing I have to say about this place is that I felt very rushed. I look forward to eating – it’s my favorite part of the day – especially when trying out a new restaurant and being on a special date with my husband. I literally think I got my food faster than I would have at an actual fast-food restaurant so it kind of takes the enjoyment out of having a relaxing dinner. Maybe it’s the Italian in me that likes my meals to be a little bit long and “drawn out”. We had just dug into our appetizer when they already brought out our meals. This is one of my biggest pet peeves! It makes it so that you feel like you have to rush through your appetizer and by the time you get to your meals they are cold from having sat there so long. So, if you are in a hurry and need to eat and run this will actually be a good choice for you. 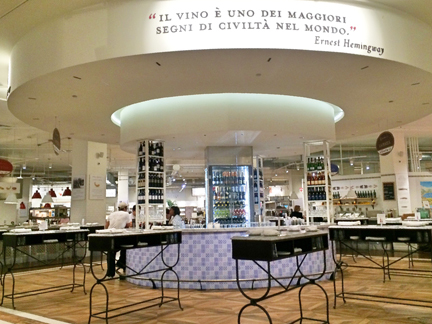 Then there was Eataly. I would be remiss if I left this place out in a where to eat and what to do in Chicago type of post. This is probably the coolest place I have ever been to and is every Italian food lover’s dream. At first it is shocking…overwhelming…and seems extremely large. As you begin exploring, you will be just mesmerized by everything that is going on in here. On the first floor, there is a Nutella bar (yes! ), and the coffee bar which I have heard great things about though I did not order anything there. 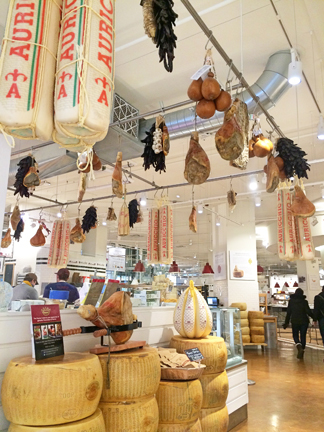 I was definitely impressed by all the types of cheeses and meats you could buy. This is definitely a great spot to stop by for some perusing and a casual meal – just be prepared ahead of time if you are not a good/fast decision maker or it will be your worst nightmare. I picked up a bunch of pasta to bring home as it was the only thing that wouldn’t weigh my suitcase down too much. 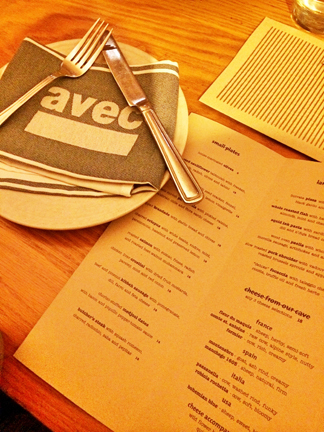 Avec was another restaurant we hit up because of the recommendation of some friends and the raving Yelp reviews. The restaurant itself is beautifully designed as it has that simple modern high end feel to it. Everything is made of the same beautiful wood throughout the place and it is a very trendy place in every way. If you have any sort of social anxiety or shyness as I do, I would not recommend going at the peak meal times as it is a community table and you sit with strangers. We didn’t go until about 9 p.m. so I got lucky that the place was pretty empty. The slow roasted pork shoulder was amazing and my husband and I shared this! 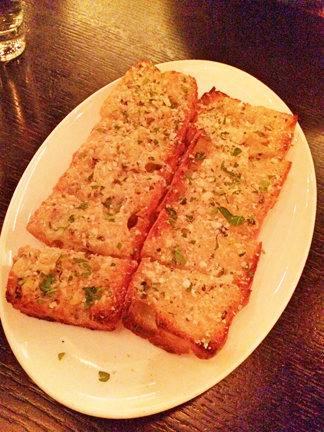 Deluxe focaccia was next in the lineup – this is a must try! I was apprehensive to order something as plain as focaccia for my dinner, but I was happy that I decided to. The prices are pretty steep here for what you get (in my opinion) but the food is undeniably very tasty. 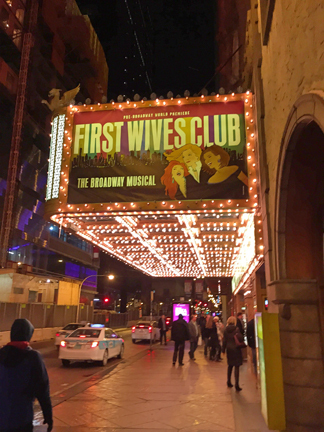 We also saw First Wives Club while in previews in Chicago. While that show is no longer there and will be on Broadway soon, you’re bound to find a fun show to see while there (I’m all about the shows – they are all so great!). 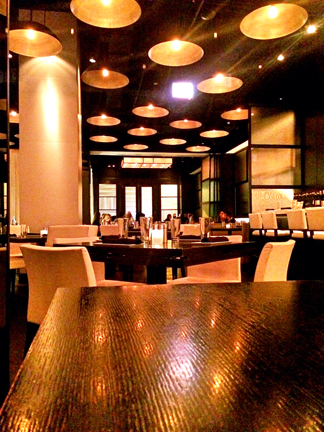 Hopefully you now have a better idea of where to eat and what to do in Chicago. Happy Chicago visits to all! You will also love my Where to Eat in Boston post. oooh this is getting pinned to my travel board! Gah! Ashley, I love the tour through Chicago! So amazingly cool – because I’ve never been there. Thanks for the share! Oh, boy! I bookmarked this post. Great information for someone who loves Chicago and has not been in a long time. Thanks! Now we definitely need to visit Chicago! Looks like a wonderful trip! What a great trip – and I see you’re in Cancun now? I want to stow away in your luggage on every trip! I would have never thought of Chicago as walkable! It just seems so gigantic. Even when I’m eating locally, I look up all the restaurants and check out the menus. I’m a pretty picky eater! I love Garrett’s popcorn – I actually mail order it. I’ve heard so many great things about RPM. 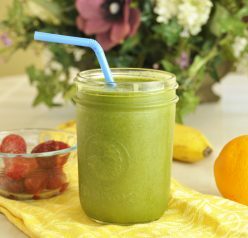 I’m a huge fan of Giuliana Rancic who owns it – would love to check it out one day. Chicago is my hometown. Reading this makes me want to book a flight home right now. When I am in Chicago, I love to see family, shop, and of course eat great food.. My favorite is the Chicago hot dog. Lou Malnati’s pizza rocks, as does Garretts’s popcorn! You’ve picked some marvelous things that Chicago has to offer. 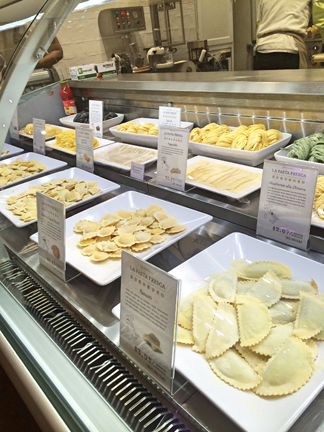 I especially love Eataly too! I have never had an urge to visit Chicago, but I think I have changed my mind. Looks like a lot of FUN! So jealous! I did a blogger trip to Chicago with a company and they promised we’d have plenty of down time to visit downtown, but they lied. It felt like the worse time share trip ever. I cannot wait to go back and visit all these beautiful places!!!! Awww that stinks! I’m so sorry! There is so much to do there – you really should go back sometime!